Keeping kids amused can be expensive and unrewarding. Taking your kids to the local amusement park might seem like a great idea, but the ticket price combined with your little one becoming overtired and whiney will make you ask yourself why you bothered. What you really want is something cheap, yet still a sure bet to keep the kids amused. This is where our milk carton animals come in. Using recycled milk cartons, you won’t break the bank and will leave the little ones smiling as they have something to take away with them. Plus you can do it all from the comfort of your own home. Easy. Peasy. Any other decorative bits you have hanging about. · First things first, save an old milk carton! · Clean out your carton and get rid of any milky remnants. 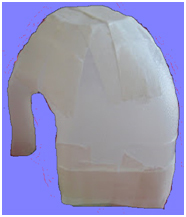 · Fill the carton with hot water so that you can easily peel off any labels. Nail varnish remover will remove the stamp date or any other print on the carton. · It is best to pre-prepare and do the cutting part for children to avoid any injury since plastic edges can be very sharp. Cut the bottom off your milk carton, about half way up so your elephant looks in proportion with its trunk (the carton handle). I also cut the top off my carton, just below the lid, so the elephant has a flat head but it really does not matter too much. · Stick masking tape round the holes that you have created from cutting up the carton so that you have a solid area to decorate. Option 1: Layer newspaper onto the milk carton using PVA glue mixed with water. You will need to leave this to dry overnight before you can consider painting it. Get your kids to decorate it whatever colour they like- the shape of the carton shows it is an elephant with a trunk, so get creative and stay away from the grey! Once the paint has dried, they can decorate their pièce de resistance further with sequins, ribbon and of course some googly eyes. Option 2: If you are shorter on time this is a better option and you will create something equally as colourful and innovative. 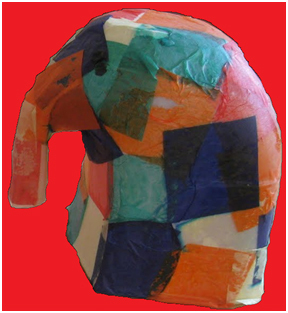 Instead of using newspaper to papier-mâché, use coloured paper cut into squares to layer on the elephant. 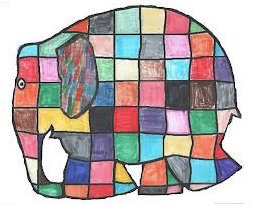 This will create a patchwork effect just like Elmer elephant from the children’s story. They layer on top of the milk carton until they get bored or until they have become too messy! Once again leave this to dry overnight and then add some googly eyes! The fun does not have to end there; you can create endless animals from your used milk cartons. Use the screw top end as a face-on pig’s snout or paint it black and make a penguin. Just go with the flow, the main thing is that your kids have fun and create something they love! Lucy Carswell is a Blogger and Marketing Assistant for Cube Self Storage, Cube Record Management Services and Cube Fine Art Services. UK based storage companies specialising in secure storage of documents and climate controlled storage for fine art. Cute! I want to try to make a monkey with the handle made into the tail!